IBM’s Almaden laboratory where IBM is developing a new kind of computer based on a neural network simulating that of the human brain. 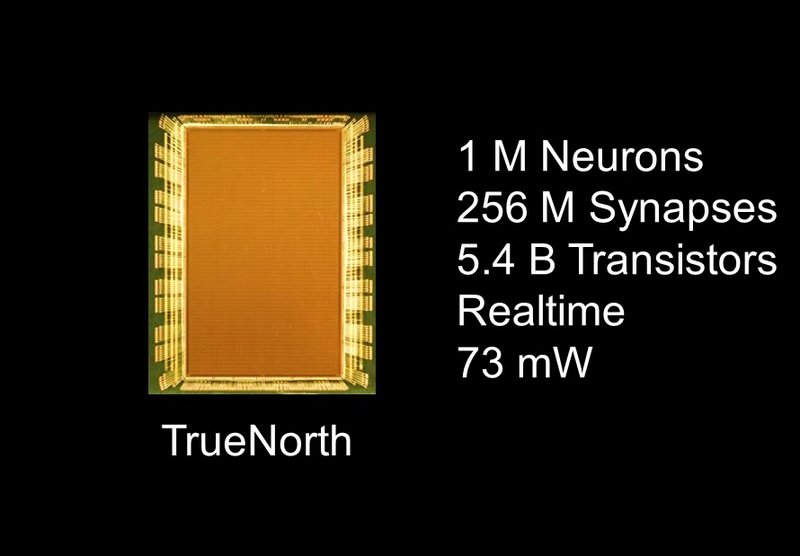 This development has begun in 2008 and as a result of that 2011 was the True North – chip, with 256 programmable nerve cells and 262 114 synapse. 2014 This IBM published a chip , which consisted of 16 cores . This consists of 1 million nerve cells and 4 billion (thousand million) synapses.The demos driven by this circuit are already quite spectacular. In addition to this IBM has developed “programming environment” for this new machine. As described the architecture of this new machine is completely different than today’s computers. Thus, the machine can not be programmed using traditional programming languages and programming doesn’t resemblance to the programming of the current computers. Programming takes place in the same way as programming neural networks. In fact, the whole ‘programming’ the term is quite misleading. Rather I could talk – and we talk about – teaching. This last device is already in the human brain size. No 1. Describes in the initially theoretical starting point for the device imitating the human brain and its basic structure and mode of operation. No 2. Starts with as many Deep Learning application with visual recognition process followed with a small example how to train TrueNorth circuit to recognize hand written numbers with just 5 TrueNorth cores. 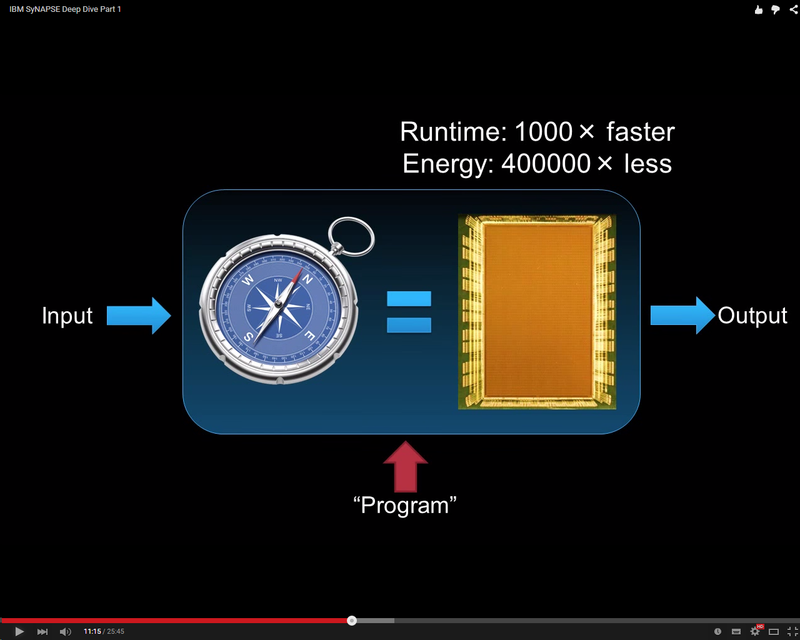 This allows it becomes clear that the production device applications are quite easy to train. At the same time this team has developed a set of equipment based on a conventional computer, which the team calls Compas- system. This works in the same way externally as the True North and but this neural network is thus carried out in a traditional computer and can be used in the same way as other traditional Deep Learning networks. The two most important results TrueNorth are performance and power consumption. When it is compared with neural networks implemeted with traditional von Neumann computers the findings are that the new device is 1000 times more powerful than neural network implementation with the conventional means and a power consumption of only 1 / 400 000 part of a conventional. This means that when the current device implemented Deep Learning systems in performance like a bikes the new equipment performance meets the supersonic jet fighter. When this equipment is almost ready for mass production, this means a complete total socio-economic revolution within 5 years! This circuit technology will enable the self-driving cars and intelligent robots.